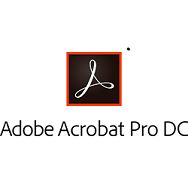 This offer provides access to discounted rates for an Acrobat Pro DC plan individual membership for one user. You'll receive a 13% discount Adobe's current rates for the first year. See the Details and Service Costs section for more information. After you request this offer through TechSoup Asia, you'll pay Adobe directly each month for the first year of the discounted membership.